BHEL Jhansi has given offline application form for filling up the 258 various trade Apprenticeship. Eligible and interested applicants are to submit their application at BHEL office on or before 14.03.2015. 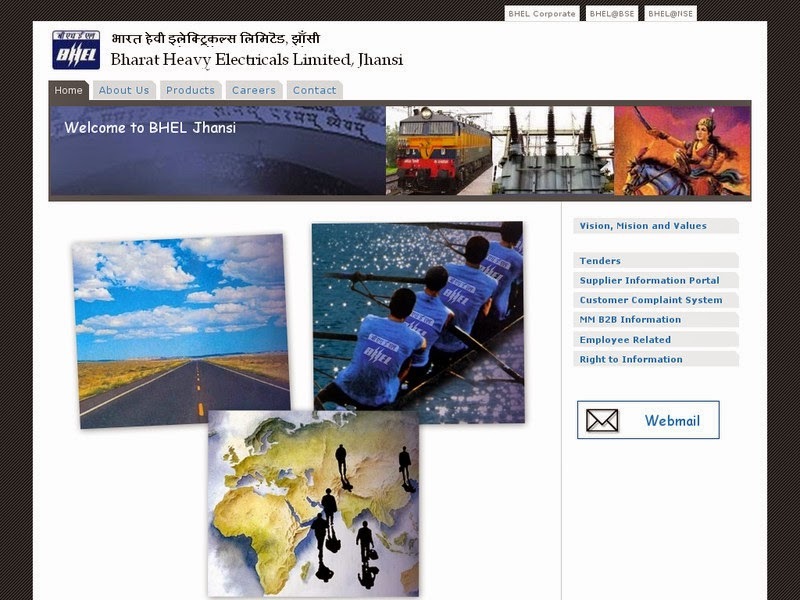 Further details such as download application form and eligibility criteria visit at www.bheljhs.co.in, the official website of BHEL Jhansi. Education qualification: Applicant who want to part of BHEL Jhansi then male applicants should have passed 10th or ITI In Relevant Trade Further post wise qualification refer notice below. Age as on 01.01.2015: Applicant age should be between 18-27.Age relaxation for sc/st/obc and ex-servicemen applicant as per govt. rules. Mode of selection: Applicant selection will on the basis of Trade Test and Interview. Pay Scale: Rs.5200/- 20,200/- With 2400/- Grade Pay. How to apply: Eligible applicant require to send their application form at BHEL Jhansi office and application form can download form its website www.bheljhs.co.in. Application form should be reached before 14.03.2015 with your testimonial documents. BHEL Jhansi (Uttar Pradesh) -284120.